This is a free henna help site for DIY mehndi. Learn everything you need to know about mixing henna, the science of henna, the history of henna, and so much more! Like this free help site? Support us by purchasing quality henna supplies at our online shop. The site is created and managed by Jody of Beachcombers Bazaar and Henna Supply. Welcome to the wonderful world of henna! I want to help make your transition from henna beginner to henna artist easy and fun. 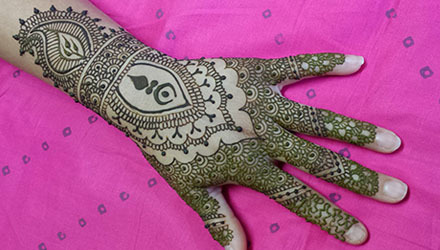 This site is divided into small “bite-sized” articles about henna topics you want to learn about. Click on the different henna subjects from the main menu and you will find in-depth articles about these subjects. Henna is a bush, lawsonia inermis that is grown in hot dry climates. the leaves are dried, ground into a powder, and the powder is mixed into a paste that is used to stain the skin, nails, and hair. Thus far, our first physical evidence of henna is 6000 BCE in the areas of Jericho, Crete, and Turkey. Henna was found on the hair and nails of Egyptian mummies. Our first evidence of henna as body art was in Persia, 2500 years ago. It seems that rather than henna having one birthplace then being spread throughout the world, henna was developed independently in areas where it grows well. This means no single culture “owns” henna. Henna is an equal-opportunity artistic adventure! Anyone can use henna! Mehndi (henna) is used throughout multiple religions and cultures for many different reasons. In general, henna is thought to be a blessing or bring good energy to the wearer. Henna is used as a way to beautify ourselves and is our oldest cosmetic. As long as you are using safe product, there is no right or wrong way to use henna or to honor its use. A seldom realized henna fact: henna is a permanent stain. Henna does not fade away, instead the skin cells exfoliate off and “fades” the henna design. Skin exfoliates completely every 20-30 days which is why henna will always be temporary on the skin. On your white couch, however, henna will be permanent! Henna has medicinal properties as well. It’s an anti-fungal, an antiseptic, and it’s cooling. In fact, one of the oldest henna uses was as a way to cool the body in the desert. 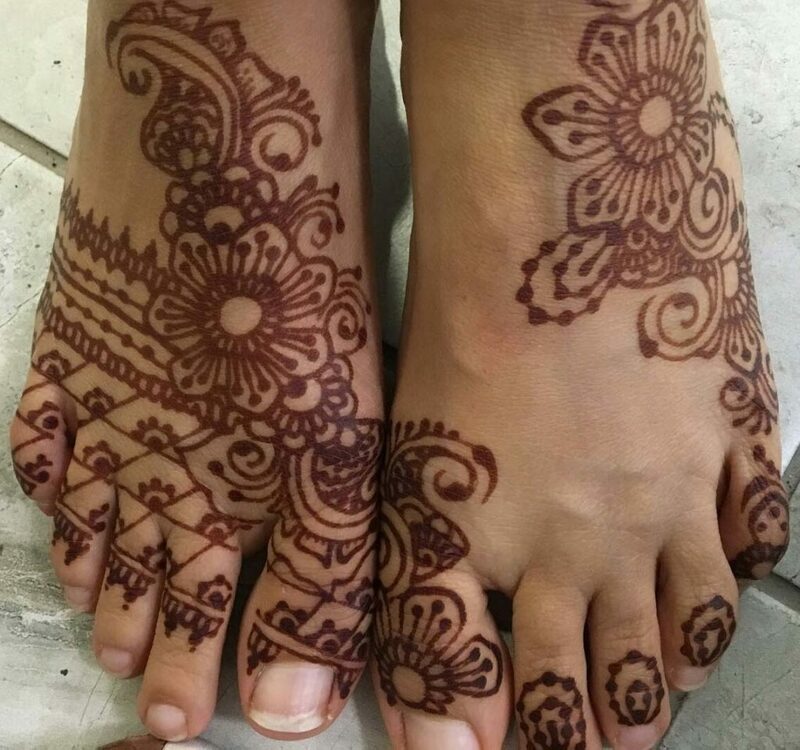 People would cover the palms of their hands and the soles of their feet with henna and found that as long as there was a stain, their body temperature stayed lower. You can still find people today that use henna for its cooling properties. Cool, right? Ha ha…cool, get it? Understanding the science of henna will lead to beautiful dark henna stains.